In a note to investors shared this morning, KGI Securities analyst Ming-Chi Kuo has claimed that it will take Android competitors “up to two and a half years to replicate the functionality and user experience” of the TrueDepth Camera in the iPhone X, MacRumors is reporting. Kuo believes that the TrueDepth camera will give Apple a solid technological lead throughout 2018 and 2019. 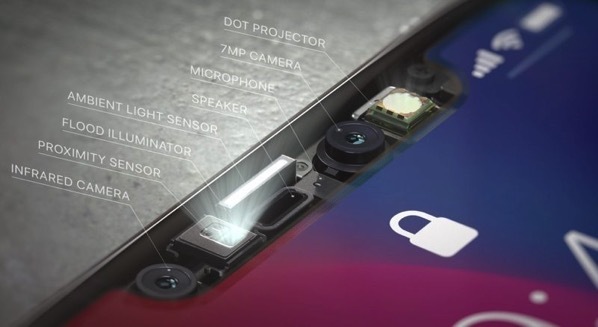 Previously, the analyst had predicted it might take a year or two for Android manufacturers to produce something like the iPhone X’s TrueDepth camera, but after watching Apple’s official technical demonstrations in detail, he now says it can take as much as 2.5 years. While KGI Securities has revised its 2017 iPhone X shipping estimates from 40 million to 30 to 35 million units, Kuo says KGI has “full confidence” in the iPhone’s growth prospects over the next two years. Kuo says the firm stands by its “positive outlook” on shipments of future iPhones equipped with the TrueDepth Camera. Apple’s TrueDepth camera system enables its Face ID facial recognition system and other features like advanced face tracking and analysis for Animoji. Rumors suggest the difficulty of manufacturing the TrueDepth camera is what has led to significant iPhone X production issues, severely limiting initial available supply. The analyst also believes that all future iPhones will most likely adopt the TrueDepth camera technology.